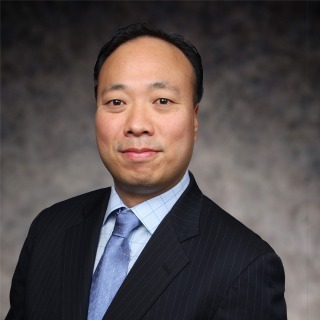 Steven I. Chung is a partner in the Corporate and Finance Group of Hughes Hubbard & Reed and is co-chair of its Aviation Finance Group, the Head of the firm's Corporate and Finance Group in Washington, DC and is a member of the firm's Executive Committee. Steven represents sponsors, lenders, export credit agencies and commercial banks in connection with a broad spectrum of international financial and corporate transactions, including acquisitions, joint ventures, domestic and cross-border secured and unsecured financings, leveraged leasing, structured financings, restructurings and credit enhancements in the US, Caribbean, South America, Asia and Europe. He has extensive experience in a wide variety of aircraft and other structured equipment financings, including representing clients in aircraft acquisitions and dispositions; domestic and cross-border leveraged lease transactions; aircraft portfolio securitizations (ABS); the issuance of enhanced equipment trust certificates (EETCs); syndicated credit facilities; pre-delivery payment and warehouse facilities; and joint venture transactions. He has worked on many of the most important financings involving aircraft, including the first 144A/Reg. S offering of ABS notes after the 2008 financial crisis and the first non-US airline enhanced equipment trust certificate (EETC) involving Cape Town Alternative A. Many of his deals have won "Deal of the Year" awards from leading industry publications. Steven also represents sponsors, lenders, export credit agencies, commercial banks and equipment suppliers in connection with complex domestic and international financing arrangements, joint ventures, equity investments and restructurings, including securitizations, secured and unsecured lending, cross-border financings, structured financings, bankruptcies and workouts for capital intensive infrastructure, energy, telecoms, satellite and transportation projects, including fixed-line and wireless telecom installations, container terminal facilities and power facilities in the US, Caribbean, South America, Asia and Europe. Representation of Bank of America Merrill Lynch, DekaBank, Deutsche Girozentrale Standard Chartered Bank and Sumitomo Mitsui Banking Corp. in connection with a $620.9 million senior loan financing for Delta Air Lines Inc. Representation of a group of lenders in connection with approximately $450 million in loans to Delta Air Lines Inc. Representation of Wells Fargo Securities LLC and Norddeutsche Landesbank Girozentrale as joint lead arrangers in connection with an approximately $320 million senior secured financing for AWAS Aviation Leasing 2012-I Ltd., a subsidiary of AWAS Aviation Capital Ltd. Representation of KKR Capital Markets LLC as arranger in connection with a $42 million subordinated secured financing for Skyfunding Ltd. The financing was guaranteed by AerCap Holdings NV and AerCap Ireland Ltd. Representation of Goldman Sachs Lending Partners LLC as lender and syndication agent in connection with a $60 million secured financing for Avolon Investments Sàrl, guaranteed by Avolon Aerospace Ltd. and Avolon Aerospace Leasing Ltd. Representation of the EXIM in connection with a $158 million direct loan for SES SA to support the export of a Ku-band broadcast satellite by Space Systems/Loral. The financing was fully guaranteed by SES Global Americas Holdings GP. The financing also covered launch insurance from Aon Corp. Representation of Tennenbaum Capital Partners LLC in connection with the acquisition and back-leveraging of certain Boeing 767 aircraft on lease to United Airlines Inc. Representation of Goldman Sachs Lending Partners LLC and Crédit Agricole Corporate and Investment Bank as joint lead arrangers in connection with a $530 million secured financing for AWAS Finance Luxembourg Sàrl, guaranteed by AWAS Aviation Capital Ltd. Representation of Bank of America Securities LLC and Goldman Sachs Lending Partners LLC, as joint lead arrangers in connection with the $1.3 billion secured financing for International Lease Finance Corp. Representation of Tennenbaum Capital Partners LLC in connection with the purchase and leaseback of certain Boeing 757 aircraft to United Airlines Inc. Representation of Goldman Sachs Group Inc. and Citibank NA as placement agent in connection with a $175 million senior secured note issuance by United Airlines Inc. Representation of Boeing Capital Loan Corp. in connection with a $990 million financing for Delta Air Lines Inc. Representation of Goldman Sachs Group Inc. as placement agent in connection with a $400 million senior secured note issuance by Southwest Airlines Co. Representation of J. Aron & Co. as counterparty in connection with certain amendments to its International Swaps and Derivatives Association Master Agreement with Southwest Airlines Co. Representation of America International Group Inc. in connection with its proposed sale of International Lease Finance Corp. Representation of Calyon and PK AirFinance US Inc. in connection with a $530 million financing for Delta Air Lines Inc. Representation of General Electric Capital Corp. in connection with the restructuring and cross-collateralization of various aircraft, engines and spare parts facilities for Delta Air Lines Inc.